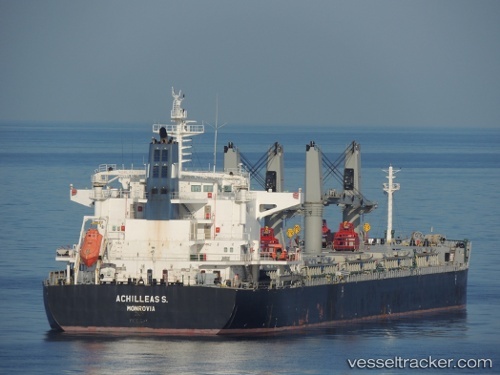 The duty personnel aboard the "Achilleas S.", while at the Muara Berau anchorage, Samarinda, in position 00 14.20S, 117 33.70E, on July 31, 2018, at 7.15 p.m. during security rounds noticed five robbers on the forecastle who were armed with knives. They immediately informed the officer of the watch. Upon seeing the alerted crew approaching the deck, the robbers escaped with the stolen ship's stores.